I’m sure it hasn’t escaped your notice that the entire UK is currently covered in a blanket of snow and everyone’s been out tobogganing and building snowmen. Joy! I however, have been stuck indoors with the flu… not so joyous. Unable to go outside and battle the elements I am at home on a rare sick day and I actually have had time to make breakfast. I leave for work so early usually that I can’t stomach it and just snack when I get to work… I know, I know, breakfast is the most important meal of the day and all that but my digestive system really isn’t awake at 6am. I also don’t really like a lot of breakfasty type foods, I think cereal tastes like cardboard and I’m probably the only person in the country who’s stomach turns at the thought of a greasy fry up. I do love a bacon sandwich, but you can’t have one of those every day can you. So finding myself with the time and also feeling the need to get as much goodness into me as possible to get rid of these horrible germs, I knocked myself up a yummy veggie omelette. Tasty and nutritious. 1. Beat the eggs in a bowl and season generously with salt and pepper. 2. 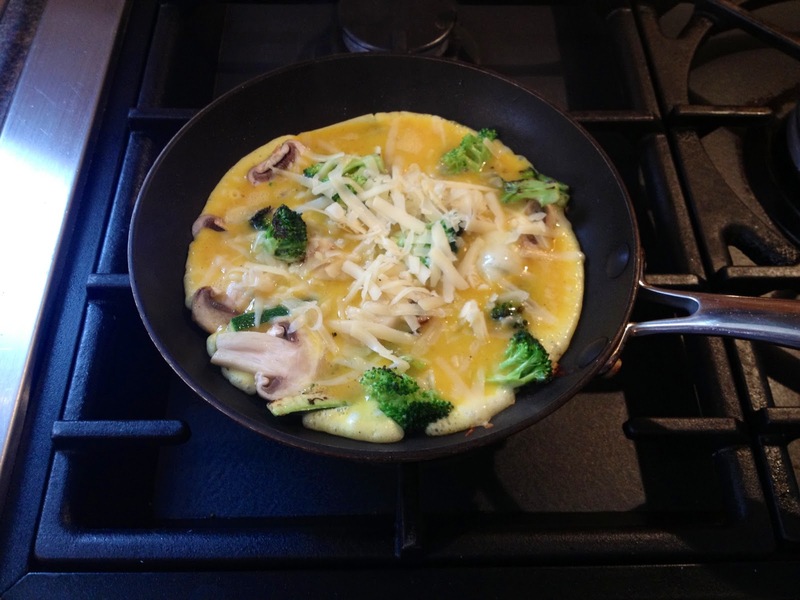 In a frying pan on a high heat, with a splash of oil, start to cook the courgettes, broccoli and mushrooms. 3. When the vegetables are softened, poor in the eggs, filling the whole pan. 4. Sprinkle in the cheese so that it melts into the runny eggs. 5. 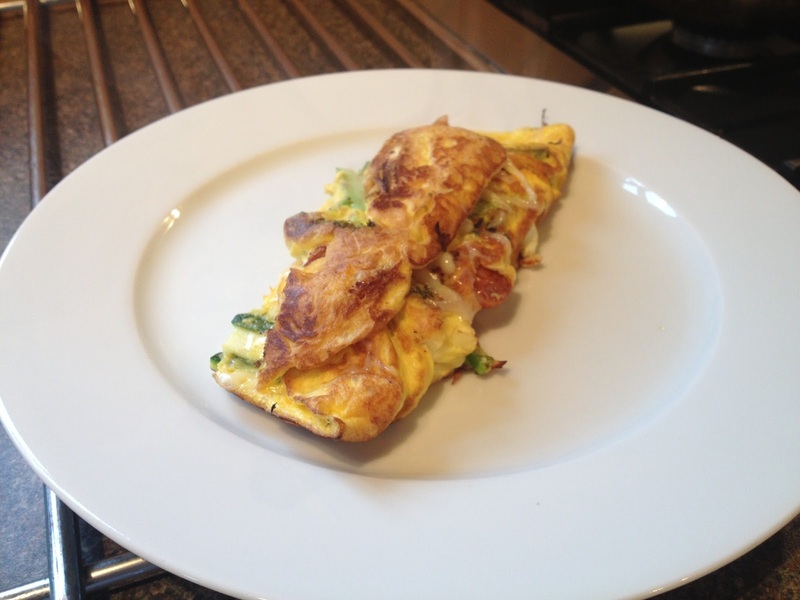 Allow eggs to cook through a little bit and when the underside is cooked and comes away from the pan easily, fold the sides into the omelette, creating a parcel that will leave your omelette well done on the outside, but nice and runny in the middle. 6. Cook for a further minute, serve and eat straight away. One of the best things about an omelette is it’s such a store cupboard staple. You can easily knock one up with whatever you need to use up in the fridge.